London Schools Swimming Association was created in 1893 and promotes aquatic sports for all primary and secondary schools in the thirty two boroughs of London and the City of London. 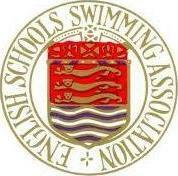 We also organise regional rounds of national competitions for English Schools' Swimming Association. A swimmer must be in full time education in a London Borough or City Corporation, Barking & Dagenham, Barnet, Bexley, Brent, Bromley, Camden, City of London, Croydon, Ealing, Enfield, Greenwich, Hackney, Hammersmith & Fulham, Haringey, Harrow, Havering, Hillingdon, Hounslow, Islington, Kensington & Chelsea, Kingston upon Thames, Lambeth, Lewisham, Merton, Newham, Redbridge, Richmond upon Thames, Southwark, Sutton, Tower Hamlets, Waltham Forest, Wandsworth, Westminster. Won by S. Carpenter who won the Freeman Shield in 1937 for swimming in the under 11years 4 months event.